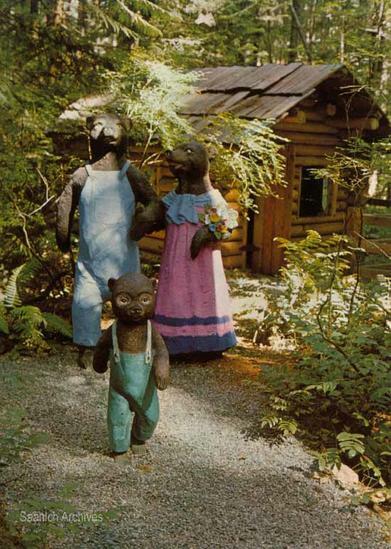 Description on reverse of postcard: "The Three Bears leave their cottage for a stroll through the woods. Over 70 other fabulous Storybook characters have transformed the beautiful woods of Beaver Lake Park into an enchanting land of fairytale fantasy. A favourite family attraction."